Astronaut Hana Seung makes the announcement as the space shuttle jerks and jolts. It is the year 2033, and Earth has just witnessed the first successful human landing on Mars. Executive produced by Brian Grazer and Ron Howard, the new National Geographic six-part series “Mars” effortlessly mixes today’s realities with tomorrow’s possibilities. An intriguing blend of scripted fictional drama taking place in 2033 and interviews with today’s renowned scientists, “Mars” explores the infinite hardships humans must prepare for and overcome on a journey to Mars—which NASA and SpaceX hope will be launched in less than 20 years. The series was partly inspired by author Stephen Petranek’s book called “How We’ll Live on Mars.” Petranek addressed some of the most pressing obstacles if humans were to live on Mars. BUDAPEST – Production of the scripted portion of MARS. Actress Jihae plays Astronaut Hana Seung. NASA astronaut Garrett Riesman has spent about 107 days in space aboard the International Space Station. Currently, he serves as the director of crew operations at SpaceX. Luckily, Riesman had what he called phenomenal crews to support him on this journey traveling miles away from Earth. “I was really lucky—There are crews where there are problems and where people don’t get along and they rely on their professionalism to get the job done. You can ruin flying in space by going with the wrong people,” said Riesman. French actress Clementine Poidatz plays Astronaut Amelie Durand. She called the rest of the cast her “big brothers and sisters,” who were so supportive and bonded through “space bootcamp,” where the actors had a chance to train and learn about the realities of being and astronaut. The Mars colony was filmed in Budapest and Morocco, places that had a topography similar to that of the Red Planet. Before signing on to the project, Poidatz knew nothing about space. The experience opened her eyes to the near future’s realities. While going to Mars may seem like a far-fetched idea, the mini-series shows viewers that there are already so many different kinds of technology in place to make our dreams possible—and not only just for the select few highly trained astronauts, either. Andy Weir, author of “The Martian” which inspired the Matt Damon Oscar award-winning movie, speculated on what would have to change in order to push people towards colonization. BUDAPEST – Production of the scripted portion of MARS. For now, however, the goal is to spark interest of not only scientists and engineers but also viewers watching at home. Actress Jihae had high hopes for what ‘Mars’ will accomplish in furthering the cycle of stimulating interest and expanding imaginations. The Daedalus on Mars. The global event series MARS premieres on the National Geographic Channel November 14. 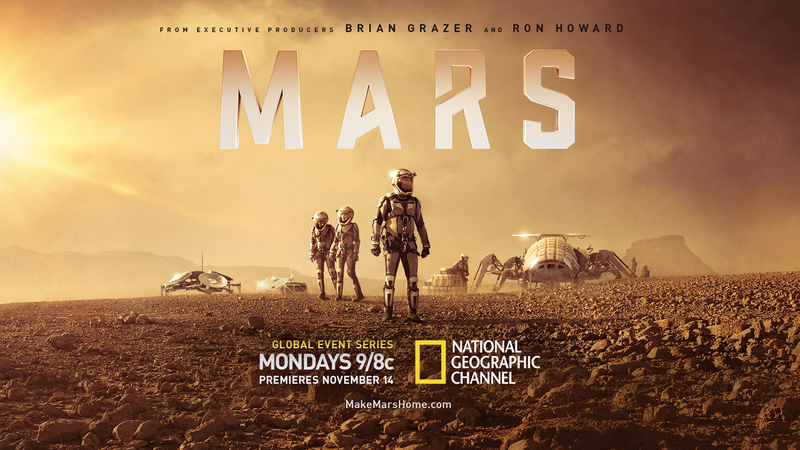 “Mars” premieres on National Geographic on Nov. 14.